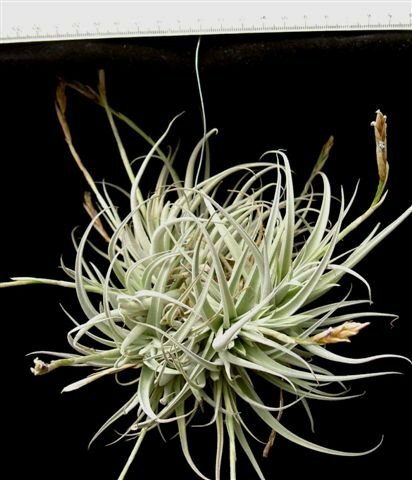 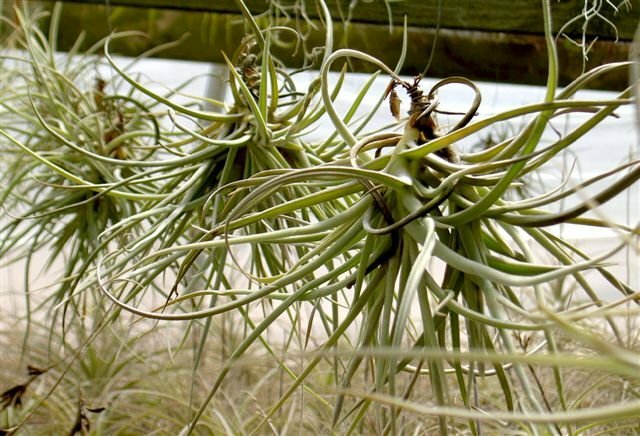 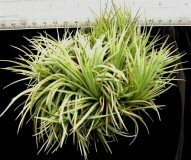 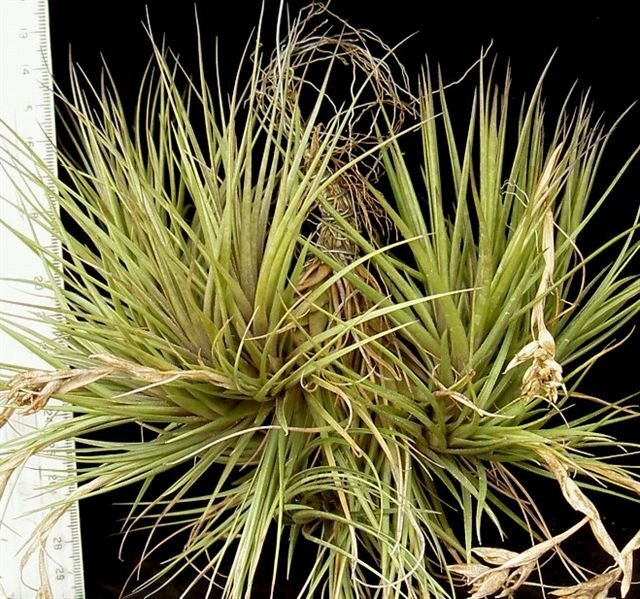 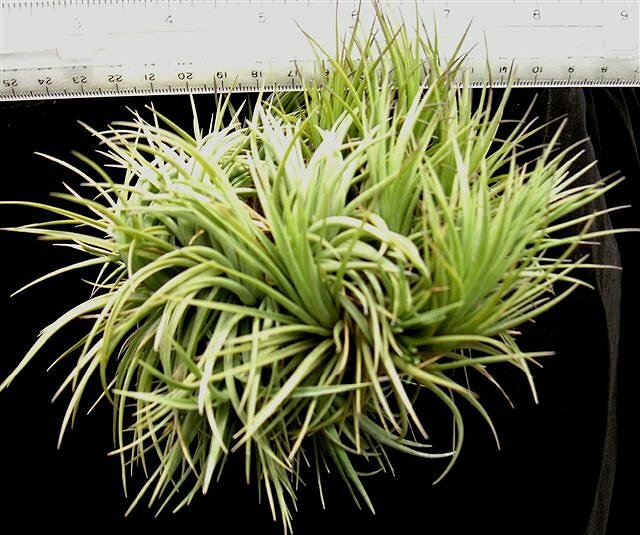 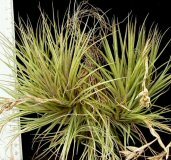 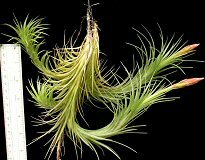 Tillandsia specimens are natural colonies of Tillandsia forming a clump or ball; this is how they grow in nature. 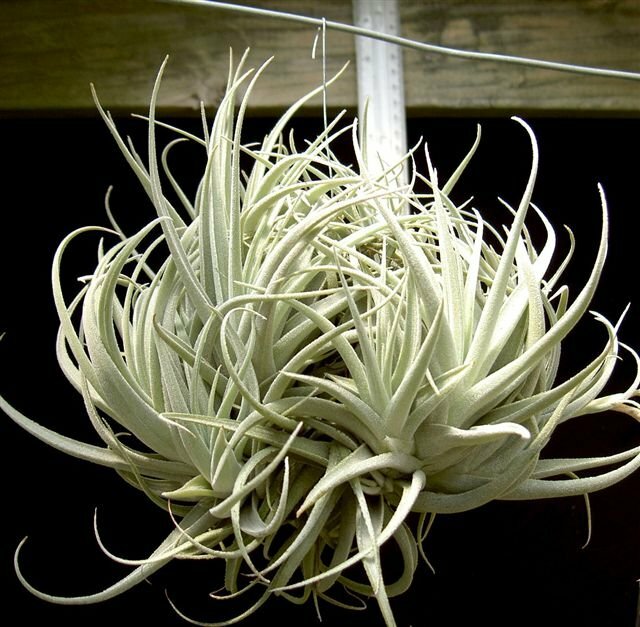 These specimens are hung by a galvanized steel wire so they do not take up precious floor or bench space. They add a dramatic effect in any greenhouse, patio or bright window of your house. 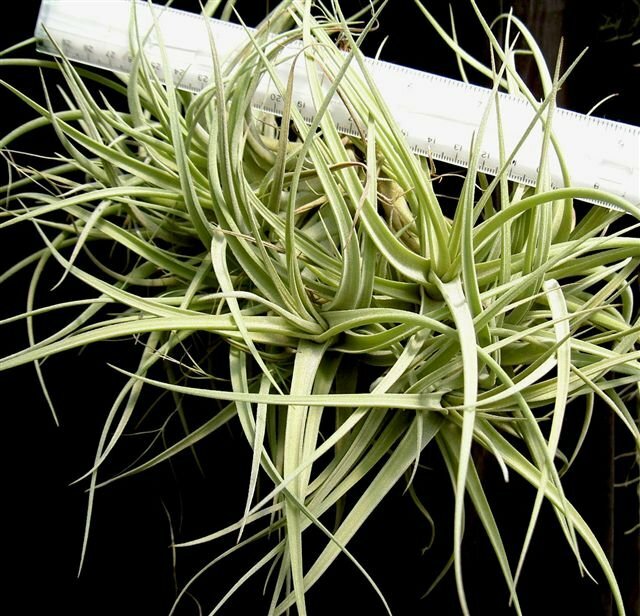 Due to their size, specimens handle neglect much better than single plants and require less care. 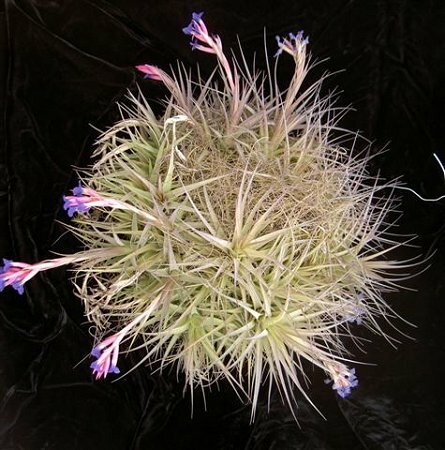 The specimens bloom with many bloom spikes forming a hanging ball of color. 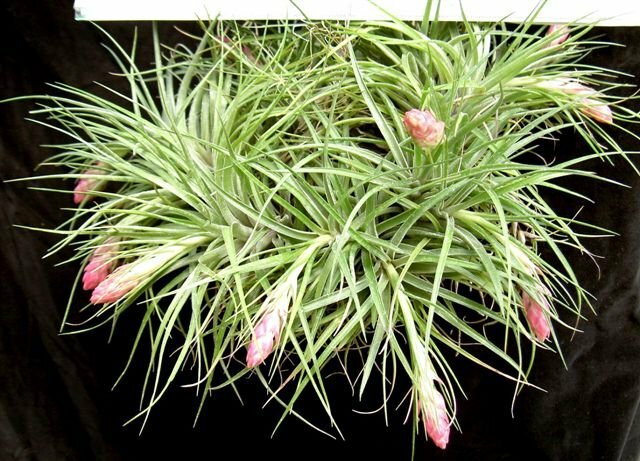 These natural colonies of Tillandsias have mature plants, pups, and old mother plants with spent blooms on them. 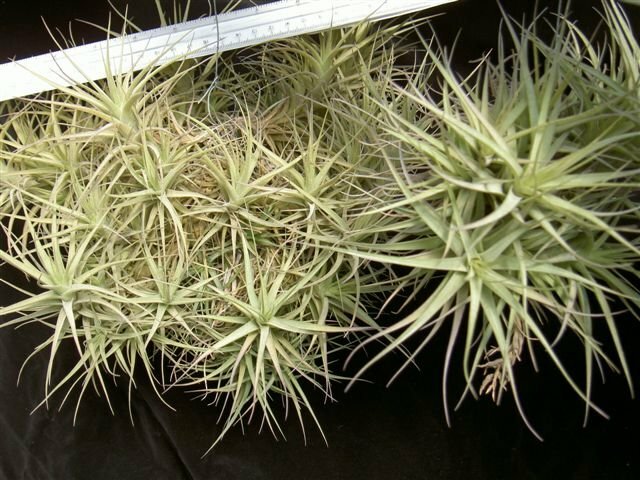 They may require trimming of old leaves and blooms. 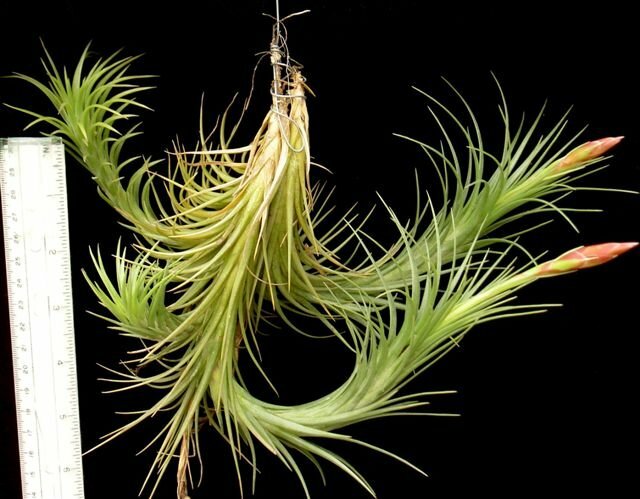 Grooming your Bromeliad. 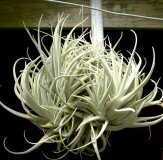 Email us for current pricing and availability of all our specimens.